BBC News, 4th February 2019, reports: Rising temperatures will change the colour of the world’s oceans, making them more blue in the coming decades say scientists. They found that increased heat will change the mixture of phytoplanktonMicroscopic marine plants, usually algae. These microscopic plants are at the base of the food chain, and are the food of zooplankton Zooplankton form the group of tiny animals such as minuscule jellyfish and rotifers present in the marine environment. They are a major source of food for those higher up the food chain, and their numbers relate directly as a good indicator to the nutrient enrichment of the sea of the area. Note: phytoplankton are microscopic plants, and zooplankton are microscopic animals. (microscopic marine animals). Note: phytoplankton are microscopic plants, and zooplankton Zooplankton form the group of tiny animals such as minuscule jellyfish and rotifers present in the marine environment. They are a major source of food for those higher up the food chain, and their numbers relate directly as a good indicator to the nutrient enrichment of the sea of the area. Note: phytoplankton are microscopic plants, and zooplankton are microscopic animals. are microscopic animals. or tiny marine organisms in the seas, which absorb and reflect light. Scientists say there will be less of them in the waters in the decades to come. This will drive a colour change in more than 50% of the world’s seas by 2100. PhytoplanktonMicroscopic marine plants, usually algae. These microscopic plants are at the base of the food chain, and are the food of zooplankton Zooplankton form the group of tiny animals such as minuscule jellyfish and rotifers present in the marine environment. They are a major source of food for those higher up the food chain, and their numbers relate directly as a good indicator to the nutrient enrichment of the sea of the area. Note: phytoplankton are microscopic plants, and zooplankton are microscopic animals. (microscopic marine animals). Note: phytoplankton are microscopic plants, and zooplankton Zooplankton form the group of tiny animals such as minuscule jellyfish and rotifers present in the marine environment. They are a major source of food for those higher up the food chain, and their numbers relate directly as a good indicator to the nutrient enrichment of the sea of the area. Note: phytoplankton are microscopic plants, and zooplankton are microscopic animals. are microscopic animals. play a hugely important role in the oceans. As well as turning sunlight into chemical energy, and consuming carbon dioxide, they are the bottom rung on the marine food chain. They also play an important role in how we see the oceans with our eyes. The more phytoplanktonMicroscopic marine plants, usually algae. These microscopic plants are at the base of the food chain, and are the food of zooplankton Zooplankton form the group of tiny animals such as minuscule jellyfish and rotifers present in the marine environment. They are a major source of food for those higher up the food chain, and their numbers relate directly as a good indicator to the nutrient enrichment of the sea of the area. Note: phytoplankton are microscopic plants, and zooplankton are microscopic animals. (microscopic marine animals). Note: phytoplankton are microscopic plants, and zooplankton Zooplankton form the group of tiny animals such as minuscule jellyfish and rotifers present in the marine environment. They are a major source of food for those higher up the food chain, and their numbers relate directly as a good indicator to the nutrient enrichment of the sea of the area. Note: phytoplankton are microscopic plants, and zooplankton are microscopic animals. are microscopic animals. in the water, the less blue the seas will appear, and the more likely they will be to have a greenish colour. Previous research has shown that with warming, the oceans will see a reduction in phytoplanktonMicroscopic marine plants, usually algae. These microscopic plants are at the base of the food chain, and are the food of zooplankton Zooplankton form the group of tiny animals such as minuscule jellyfish and rotifers present in the marine environment. They are a major source of food for those higher up the food chain, and their numbers relate directly as a good indicator to the nutrient enrichment of the sea of the area. Note: phytoplankton are microscopic plants, and zooplankton are microscopic animals. (microscopic marine animals). Note: phytoplankton are microscopic plants, and zooplankton Zooplankton form the group of tiny animals such as minuscule jellyfish and rotifers present in the marine environment. They are a major source of food for those higher up the food chain, and their numbers relate directly as a good indicator to the nutrient enrichment of the sea of the area. Note: phytoplankton are microscopic plants, and zooplankton are microscopic animals. are microscopic animals. in many places. The researchers point out that the changes are an indirect impact of climate change, as warming is affecting the circulation of the seas, this is changing the amount of food available for phytoplanktonMicroscopic marine plants, usually algae. These microscopic plants are at the base of the food chain, and are the food of zooplankton Zooplankton form the group of tiny animals such as minuscule jellyfish and rotifers present in the marine environment. They are a major source of food for those higher up the food chain, and their numbers relate directly as a good indicator to the nutrient enrichment of the sea of the area. Note: phytoplankton are microscopic plants, and zooplankton are microscopic animals. (microscopic marine animals). Note: phytoplankton are microscopic plants, and zooplankton Zooplankton form the group of tiny animals such as minuscule jellyfish and rotifers present in the marine environment. They are a major source of food for those higher up the food chain, and their numbers relate directly as a good indicator to the nutrient enrichment of the sea of the area. Note: phytoplankton are microscopic plants, and zooplankton are microscopic animals. are microscopic animals..
Another difference from previous studies is that this time, the researchers are looking solely at satellite measurements of reflected light from the phytoplanktonMicroscopic marine plants, usually algae. These microscopic plants are at the base of the food chain, and are the food of zooplankton Zooplankton form the group of tiny animals such as minuscule jellyfish and rotifers present in the marine environment. They are a major source of food for those higher up the food chain, and their numbers relate directly as a good indicator to the nutrient enrichment of the sea of the area. Note: phytoplankton are microscopic plants, and zooplankton are microscopic animals. (microscopic marine animals). Note: phytoplankton are microscopic plants, and zooplankton Zooplankton form the group of tiny animals such as minuscule jellyfish and rotifers present in the marine environment. They are a major source of food for those higher up the food chain, and their numbers relate directly as a good indicator to the nutrient enrichment of the sea of the area. Note: phytoplankton are microscopic plants, and zooplankton are microscopic animals. are microscopic animals.. 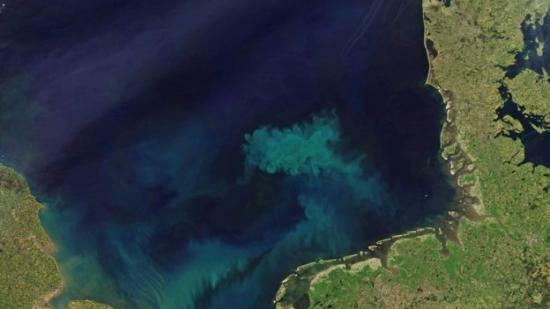 In the past, scientists have used satellite measurements of chlorophyll, a light harvesting pigment found in phytoplanktonMicroscopic marine plants, usually algae. These microscopic plants are at the base of the food chain, and are the food of zooplankton Zooplankton form the group of tiny animals such as minuscule jellyfish and rotifers present in the marine environment. They are a major source of food for those higher up the food chain, and their numbers relate directly as a good indicator to the nutrient enrichment of the sea of the area. Note: phytoplankton are microscopic plants, and zooplankton are microscopic animals. (microscopic marine animals). Note: phytoplankton are microscopic plants, and zooplankton Zooplankton form the group of tiny animals such as minuscule jellyfish and rotifers present in the marine environment. They are a major source of food for those higher up the food chain, and their numbers relate directly as a good indicator to the nutrient enrichment of the sea of the area. Note: phytoplankton are microscopic plants, and zooplankton are microscopic animals. are microscopic animals., to try and understand the impact of climate change. However they’ve had problems working out the difference between natural variability and human induced warming on this green pigment. They believe it will be 30-40 years before they can say for definite that climate change is having an impact on chlorophyll. The researchers believe that the North Atlantic will be one of the first places to reflect the change — followed by locations in the Southern Ocean. The team modelled what would happen to the oceans by the end of this century if the world warmed by 3°C, which is close to where temperatures are likely to be, if every country sticks to the promises they have made in the Paris climate agreement. The team also believe that the world will see changes in some of the green shades seen in the oceans as well. This will happen because some species of phytoplanktonMicroscopic marine plants, usually algae. These microscopic plants are at the base of the food chain, and are the food of zooplankton Zooplankton form the group of tiny animals such as minuscule jellyfish and rotifers present in the marine environment. They are a major source of food for those higher up the food chain, and their numbers relate directly as a good indicator to the nutrient enrichment of the sea of the area. Note: phytoplankton are microscopic plants, and zooplankton are microscopic animals. (microscopic marine animals). Note: phytoplankton are microscopic plants, and zooplankton Zooplankton form the group of tiny animals such as minuscule jellyfish and rotifers present in the marine environment. They are a major source of food for those higher up the food chain, and their numbers relate directly as a good indicator to the nutrient enrichment of the sea of the area. Note: phytoplankton are microscopic plants, and zooplankton are microscopic animals. are microscopic animals. will respond well to a warmer environment and will create larger blooms of more diverse marine organisms. This is likely to show up with more green regions near the equator and the poles, the researchers say. The study has been published in the journal Nature Communications.